The Dar Jazz Event may bring thrilled audiences, inspired musical performances, and fresh, innovative global sounds to the city of Dar Es Salaam, but the underlying factor is a conceptual platform designed to create true impact for an East African music sector burgeoning with talent and the potential for exponential growth. 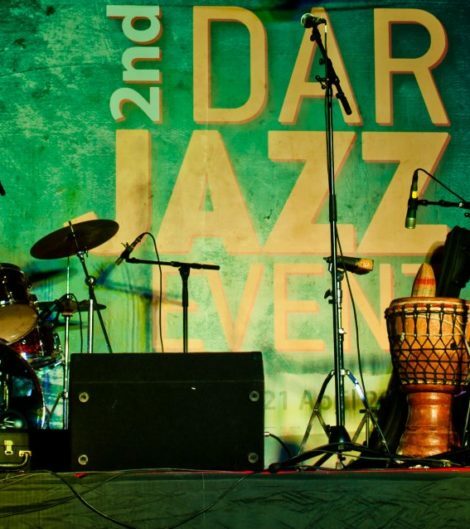 · The Dar Es Salaam Tanzania-based Dar Jazz Event (DJE) is a multi-day event featuring concerts, jam sessions, seminars & workshops. · An international team of artists converge upon the city of Dar Es Salaam for one week of music development via seminars, clinics, jam sessions and concerts. · DJE focuses on being a catalyst for the development of a healthy music infrastructure in Tanzania, with the effective yield being an organic support system for career diversity in the music industry, ensuring sustainability over the long term. · The mission of The Dar Jazz Event initiative is to create future-forward Education & Development opportunities for musically talented Tanzanian Youth, while inspiring the establishment of an annual, international, African-centric jazz music festival in Dar Es Salaam.